Sown January 14, 2011, transplanted into raised beds March 17, 2011. Raised beds were built summer of 2010, with a homemade mix of topsoil, verimiculite, peat moss, cotton burr compost, composted cow manure, mushroom compost, composted forest humus, blood and bone meal, soft rock phosphate, and Garden-Tone. Spring 2011 bed was tilled, weeded and amended with new compost (composted cow manure and Earth’s Best organic compost), blood and bone meal, Texas greensand, Garden-Tone, earthworm castings, and alfalfa meal one month before transplanting. Beds are fed once a month with Plant-Tone, Nature’s Guide Tomato and Pepper food and earthworm castings, and plants are foliar-fed twice a month with diluted seaweed extract and emulsified fish fertilizer. 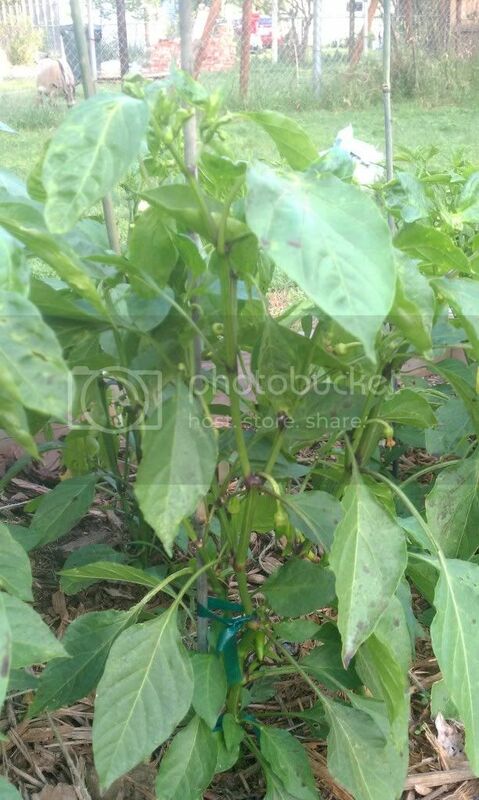 This planting is in the Bed 2, Pepper Bed garden . Sown from my Pepper, Sweet Banana Seeds.